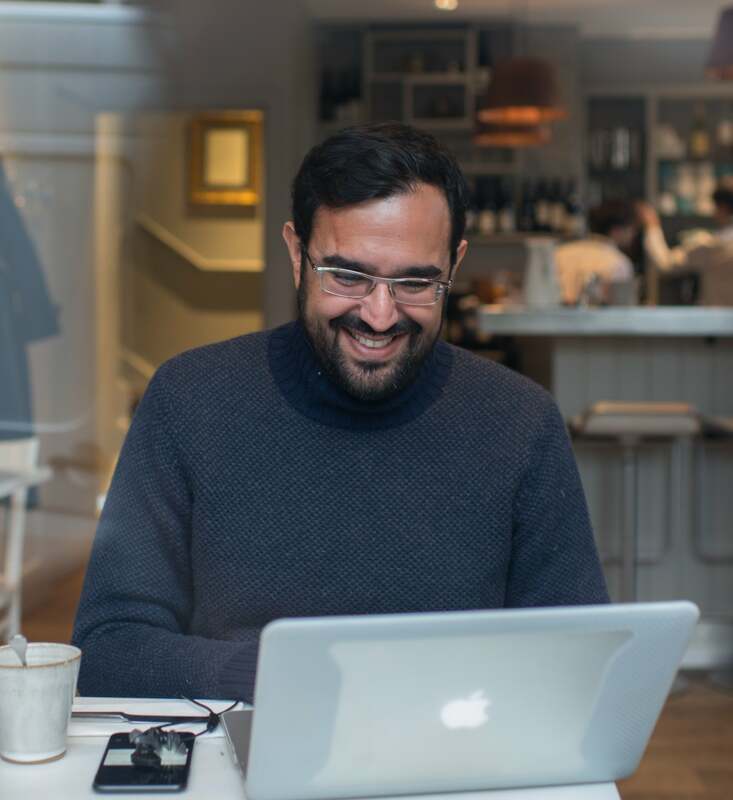 Azeem Azhar runs the Exponential View newsletter and the podcast of the same name where he explores the political economy of technology. He is a senior adviser on AI to the CTO of Accenture. He studied Philosophy, Politics and Economics at Merton College, Oxford. What are your abiding memories of your time at Oxford? The thing I loved most at Oxford was walking down the steps in Blackwell's to the Norrington room. That huge, open space with all those amazing books and all that learning; I loved the feeling every single time I used to walk there when I was a student. I still love it. And I still do that every time I go to Oxford. I also loved the feel of the community, walking from college to faculty to department, and that sense of vibrancy. It was the atmosphere that really permeated more than anything else. I was also lucky enough to participate in the founding of the Oxford Student student newspaper, and edited Isis, the student magazine. I'm a child of the microcomputer revolution. My next door neighbour had a kit computer in the mid-1970s in Zambia. And I got my first computer a few years later. It was the ZX81; I still actually have both the computer and the RAM pack, and the guide to programming it. And I really started to read and think about the potential of computers back then. People may remember that there was a little bit of hope about AI back in the 80s which then became one of those AI winters. My career has always been very close to the internet more than AI research per se. My first real engagements with AI were as an investor and as a manager in tech startups. One of the startups was doing natural language processing with very minimal grammar across multiple languages. And then I was involved in a couple of companies that were, again, in the natural language and question answering space – one was called PowerSet, which was acquired by Microsoft, and the other was called True Knowledge, which was acquired by Amazon. And it's now in Alexa. My own startup Peer Index, which was acquired a few years ago, built a very large graph of conversations on social networks to identify the trustworthiness authority of users. And it's a very hot topic right now. But Peer Index back in 2010 had identified that there were bot problems. And there were swarm problems, circles of users amplifying retweets of each other on Twitter, and we actually built bot-detection algorithms and algorithms to spot the circle tweets. That last one, which identified whether there are groups of people retweeting in a sort of coordinated fashion, was actually written by an Exeter College, Oxford student who was an intern called Will Hesselmen. Peer Index used quite a lot of machine learning to do topic detection and to figure out whether somebody was an authority or not. And after Peer Index was acquired, I then started working on my newsletter, Exponential View, and just started to form a hypothesis about where the world was going. And a key driver there, of course, is artificial intelligence. Which aspects of AI are you particularly interested in? I think AI is going to be a very transformative technology. Before we get to the more existential questions about what it will tell us about being human, I think there's a wide range of questions that we don't know the answers to, that we will need these advanced tools to help us with; and there's a wide range of questions we don't even know to ask, and AI will help us do that. The challenge and my particular interest is really, as best as I can, try to understand how that whole system will play together and how the research emerges. How will progress occur? How will we fund it? What would those impacts be? How will it get implemented in society? What rules do we need to change? I'm interested in systems-level questions that relate to it. What do you think are the biggest opportunities and challenges arising from the AI revolution? AI is going to be a general-purpose technology that is going to be embedded throughout our lives; through the edges, at the centre, in the devices, in the servers, and we will start thinking of them being as everyday and quotidian as the switch on a kettle. And we really haven't figured out quite what it's going to mean to have some form of limited, goal-directed intelligence all around us and sometimes in very, very narrow ways. That gives rise to some of the key opportunities to improve lives and help us solve problems that are really difficult for humans: we're quite good at juggling small numbers, thinking about the order of three and four items, but take that to 20 and it becomes really hard for humans to do. AI might also help us solve problems we just can't right now. For example, how do we find solutions for climate change or fix nitrogen more efficiently? AI approaches on new computational fabrics will actually answer some of our critical species-level problems. What are the key avenues of research that need to be addressed in AI and related areas? I think one of the key things we need to do is to start bringing the people, humans, at the centre of this revolution. We need to think about how we get people widely involved and comfortable with the AI debate and have them participate in it. There's a second part to this, of course, which is that the people who are building the systems are often monomaniacal about solving the problems in front of them without really thinking about how it sits in the wider system. There's a lot of research investment that needs to go into figuring out how we bridge those two issues. You can put it in the frame of how we design technology ethically or how we make sure that the underlying processes that give rise to technological enhancement can be adjusted in such a way that it can be acceptable to the disparate communities that it really ought to be serving. I have been thinking about the impact of these technologies, given that we've seen these paradigm shifts before, and how we can shape them in the correct direction. So, I am researching how the political economy of these technologies changes, and that's an area that I will be exploring over the next couple of years.